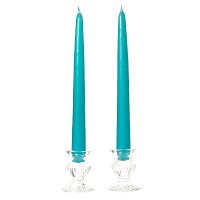 These 10 inch dripless tapered candles come in a lot of beautiful vibrant colors. 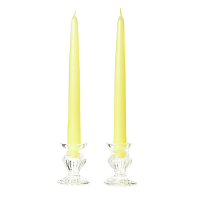 Our ivory and white taper candles make perfect additions to your wedding and event decorations. Our tapered candles are sold by the pair and are joined together by their cotton wick. 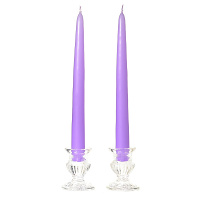 The colored taper candles are made by dipping a white core into a high melt unscented wax. 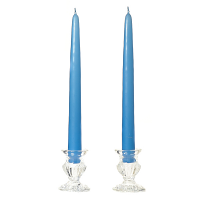 This is how we make the candles dripless. 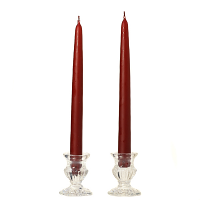 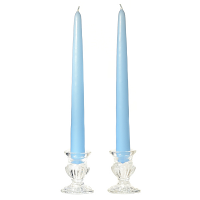 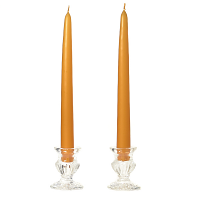 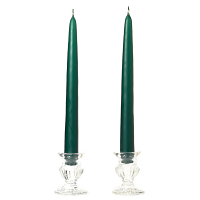 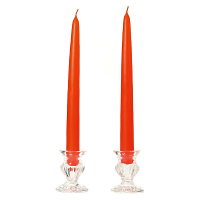 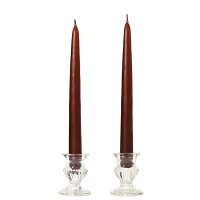 The tapered candles will burn at approximately 1 to 1.5 inches per hour. 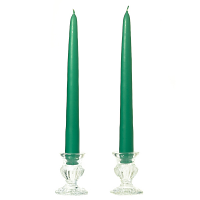 This candle is great at removing smoke smell in a fairly large room. 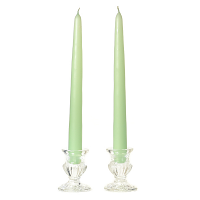 The scent is wonderful - reminds me of jasmine and gardenia.